66 Flights. An Unbelievable View. A World Free of MS. 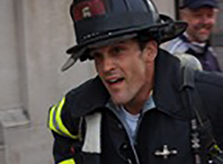 Scrap the elevator and challenge yourself to an indoor vertical 5K at Climb to the Top NYC! 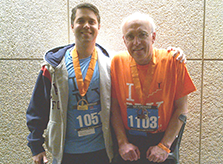 Ascend 1,215 stairs to the Top of the Rock for unparalleled views of New York City while raising critical funds to support people affected by MS. Registration is limited to 1,500 participants. Secure your spot today before the event sells out! 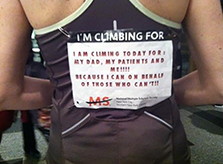 Join us on Sunday, March 3, 2019 at 30 Rockefeller Center as we Climb to the Top for a world free of MS. The info you need to know about Climb to the Top in one place. 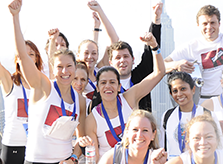 You can be a fundraising powerhouse! On a team? Starting a team? Teams make Climb to the Top incredible.